Our friends at Nobscot have put together a great scholarship contest to help HRevolution attendees pay for their travel expenses. Write a post on one of the three topics listed below. Include the required entry notification listed below on your blog post. Paste a copy of your post into the entry form. In what ways can new technology help HR evolve to have an even greater impact on business success? How can using technology for exit interviews, new hire surveys or mentoring program administration make these HR processes/activities more successful than handling manually? This is [author-name]’s entry into the 2011 Nobscot HR Evolution Scholarship Competition. Nobscot Corporation is an HR technology company specializing in key areas of employee retention including exit interviews, onboarding surveys, and corporate mentoring programs. *Don’t have a blog? Email me your submission and we can get it on the HRevolution blog if it meets the contest requirements. All entries will be reviewed by the Nobscot Corporation 2011 HREvolution Scholarship committee. Entries must be received by February 28, 2011. Up to 3 winners will be selected. Selection will be based on originality, intuitiveness and generally good thinking! Winners announced on March 11th, 2011. Scholarship includes airfare up to $500 for travel within North America and up to $1000 for international travel. This entry was posted in General and tagged Contest, HRevolution, Nobscot on February 13, 2011 by Ben. HR person of the year? Then I got an intriguing email a few days ago from Geoff Webb, the organizer of the contest. He told me I had won! I just wanted to say a quick “thank you” to everyone who took a few minutes out of their day to go and vote for me. It means a lot to have you all as friends. Anyway, just want to say thanks again to everyone and to Geoff for his hard work putting this contest together. I sincerely appreciate it! Here’s Geoff’s “official” announcement. This entry was posted in General and tagged Awards, Contest, Random on January 10, 2011 by Ben. Since my beautiful girls were born, I have been sleep deprived beyond my wildest imaginings. :-) Paradoxically, I’ve had my brain crushed with different ideas to write on. The only issue is that some of them are probably pretty crappy, and my filter isn’t up to snuff at this point. So I crowdsourced my thinking and let you guys tell me what you wanted to hear. Each of the commenters listed below will receive a $10 gift card for their help. Those cards will be used to donate to a project to help others around the world courtesy of GlobalGiving. Thanks again for your help, ladies and gentlemen! I would like to see ideas about how a person would use their GPHR designation. It sounds fun and interesting to have that specialty, but if someone is not already working in an international assignment (or if they want to try a new twist) what are some of the options for work? It would be great to learn about some of the world changing positions to which we can aspire! I think that Succession Planning is probably one of the toughest things to approach as a young HR professional. So many companies are facing critical skilled labour shortages, but young HR professionals don\’t always have the experience to address this issue. It ties in nicely with all sorts of other good HR topics too, like leadership development and flexible work arrangements. I\’d like you to talk about passion for the field. I\’m excited that young HR professionals are much broader in their scope, desire and balance. How are they going to maintain that in a workforce that tends to want to limit passion and creativity? From personal experience, it takes a determination and an environment that fosters true passion, but I\’d love to hear your take on it! I would like you to address the issue of being a young MAN in a profession now dominated by women. How have you been accepted by your employer, by your peers, and by your local HR leadership? Anything special you have had to do to gain credibility? Since you are a new Daddy I would like to hear from a man\’s perspective the balancing act of family and work. How can companies help Dads with this balance too. I think that perspectives on what really builds engagement on a company Facebook site and what prospective recruits are looking for when they check it our would be great. What about dealing with “overqualified” people who would do a great job and really need the job? How do you deal with the “fear” or concern they may be in the job for only a year and then look to internally promote? How about the relationship between HR and the managers of the company? By bringing value and tools to them, you grow as a trusted partner and resource. This leads them to go to you first before issues grow out of control. You can touch on ongoing training programs HR can implement to help managers recruit, coach, identify, and prevent potential problems and issues. This entry was posted in General and tagged Contest on September 2, 2010 by Ben. I recently received some gift cards to give away from Global Giving. These gift cards aren’t like the normal ones you see for Starbucks or your favorite food place. These are used to help other people. And because I know you ladies and gentlemen are an amazing bunch, I think we can do this. I have fifteen $10 cards to give away. You can use them to help a number of people, depending on the project you choose from the Global Giving website. While $10 might not seem huge to us, remember that it can be life-changing for people in another part of the world. I need your help. I’m looking for ideas to write on that aren’t just interesting to me, but to you as well. Simply leave a comment on this post with a writing topic you’d like to see me cover, and I’ll send you a gift card. (The more specific/detailed your comment, the more likely I’ll be to actually fulfill the request.) 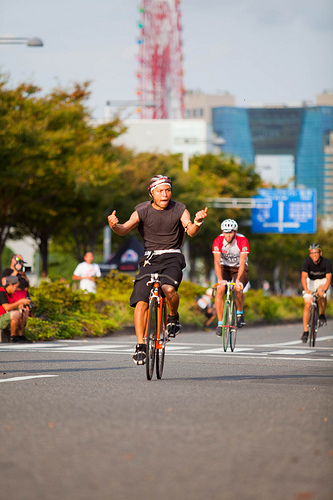 The first fifteen comments that fulfill that simple requirement will be winners. It really is that easy. I’ll email you privately when the contest closes and we’ll take care of the details. Let’s make a dent in the universe, people (thanks to Chris Ferdinandi for the terminology :-)). This entry was posted in General and tagged Contest on August 20, 2010 by Ben. 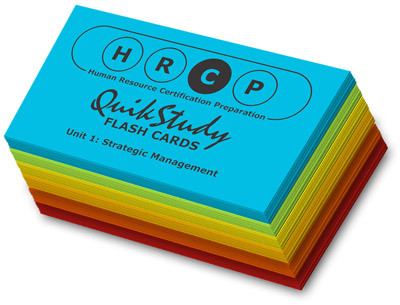 I have more free HR flashcards to give away! Read on to learn how you can get in the drawing for this prize valued at $25. This entry was posted in General and tagged Contest, Rock the PHR on April 14, 2010 by Ben. Well, SHE came, she saw, and she took the prize! Congratulations to Samantha for winning the free HR certification flashcards from HRCP. She’ll be hearing from me via email shortly. I really appreciate everyone who entered, and I’ve created a 75% discount on the Rock the PHR guide as a consolation prize. The discount will only be good until Friday at midnight (one and a half days), so get the PHR study guide now if you’re planning to take the exam. The discount code is “random” (minus quotes). Keep your eyes peeled for a new contest with a HRevolution flavor in the coming week! Subscribe now so you don’t miss out. Oh, and I’m going to try to do more giveaways, contests, etc. If you have a good idea for one, drop it in the comments or email me. I’m always open to ideas. This entry was posted in General and tagged Contest on March 11, 2010 by Ben.